On Tuesday, the prominent Egyptian-American writer Mona Eltahawy informed her almost 160 000 Twitter followers in no uncertain terms that she was incensed by an advertisement that had been placed in some New York City subways stations. 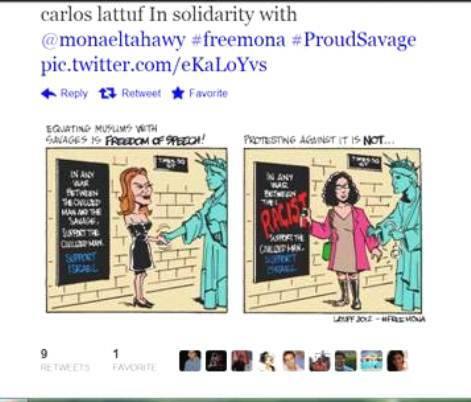 Quoting a Reuters report about the ad, Eltahawy referred to it as “‘Savage’ jihad ad,” and, by adding the hashtag #ProudSavage, presumably declared her solidarity with maligned jihadists who see themselves in a war against Israel and (western) civilization. This article was published on my JPost blog and in the Algemeiner. “The timing of the [ad] campaign could not be worse, as anger is still simmering worldwide over the anti-Islamic YouTube film ‘Innocence of Muslims,’ which insults the Prophet Muhammad. Despite the small reach of the AFDI campaign – only 10 ads among the 11,000 spread across New York City’s 400-odd subway stations – the reaction to it is unpredictable. Jewish advocates are particularly disturbed by the ads because they combine anti-Islamic propaganda and pro-Israel discourse as if supporting Israel and rejecting Islam were two sides of the same coin. Rabbi Marc Schneier, president of the Foundation for Ethnic Understanding and a longtime champion of interreligious dialogue, told the Forward that he was “troubled” by the linking of Islam and Judaism in such a contentious way. Schneier added that in the same way that other seemingly small manifestations against Islam have been taken as extremely offensive in the past, it would not be hard to imagine how this “could mutate in other parts of the Muslim world” — and raise anti-Israel feelings. This entry was posted in Uncategorized and tagged antisemitism, carlos latuff, Hamas, Islam, Israel, jihad, Mona Eltahawy, Qaradawi, terrorism, Twitter. Bookmark the permalink. Not certain why you think RIck Jacobs was excused for his duplicity, as if he is just well-meaning but misinformed. You need to remember he is a founding member of JStreet’s rabbinical board (resigned so he could take over the Reform movement and spread his disdain about Israel’s right to defend herself) and supports BDS against Israel He is an apologist and supporter in many cases, for those that wish to commit genocide against the Jewish State. While Pamela Geller may be just a little too in your face for most people, Jacobs, on the other hand, is an embarrassment to the Jewish people (just like the Judenrat of old) and the reason my family is no longer members of the Reform movement. I’m not sure how to respond to your points in a few sentences, but I’ll try to make at least some points. 1) I think there are enough challenges to deal with, so I’m usually trying to take a very big-tent Zionism approach. 2) I’m not really familiar with Rick Jacobs political views and activities. 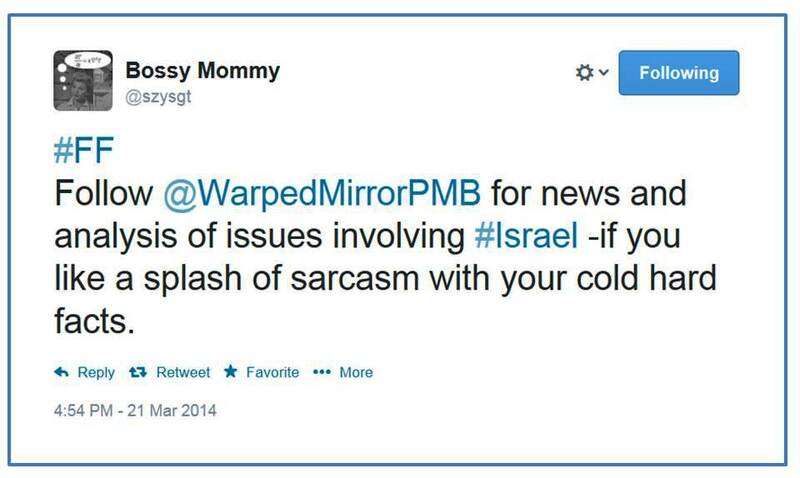 3) I’m most unhappy to find myself defending something that comes from the Geller circle. I can’t claim to know more than a few samples of what they’re doing, but from what I’ve seen, it’s not anything I would support. 4) I came across this specific instance by sheer coincidence, and wrote about it because I’m really infuriated by what seems to me the fundamental intellectual dishonesty of this whole debate. I guess a lot of people fall in line with denouncing the ad as racist because they don’t want to endorse it as a pro-Israel ad, and this is a view I largely share, not least because the jihadi ideology denounced by the ad is not just directed against Israel or even Jews, but against the US and the West, and even against Muslims who don’t suit the jihadi view of the world. Obviously, the problem is that the interfaith enthusiasts don’t want to acknowledge what this means, given that US Muslims are just a tiny fraction of the global Muslim population.